Since the year 2000 when I first landed in South Africa that I grew to love the place and its people. I've been for these many years involved in missionary/humanitarian work among the needy of both where I stay in South Africa, Barberton and Mozambique. Sending containers from Portugal with humanitarian goods, doing the distribution and teaching. 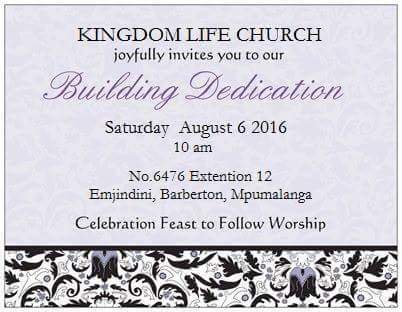 I have been involved with a congregation of about 80 people for the past 5 years. Met them when the gathering place was just a shack made of wood with a corrugated iron roof built on the bare ground. Thanks to good friends, after a few years of campaign and work on the field, on the 6th of August last we were able to celebrate the completion of a 200 square meters community building. Right now I'm 64 years old and 4 years ago I had an accident where I broke my right leg and a year after the left knee caved in. Not so fit for manual labour anymore but still very much active in the desire of continuing with this project, now mainly through networking, hence the reason for this approach. "We could grant a maximum of 2,000 euros. 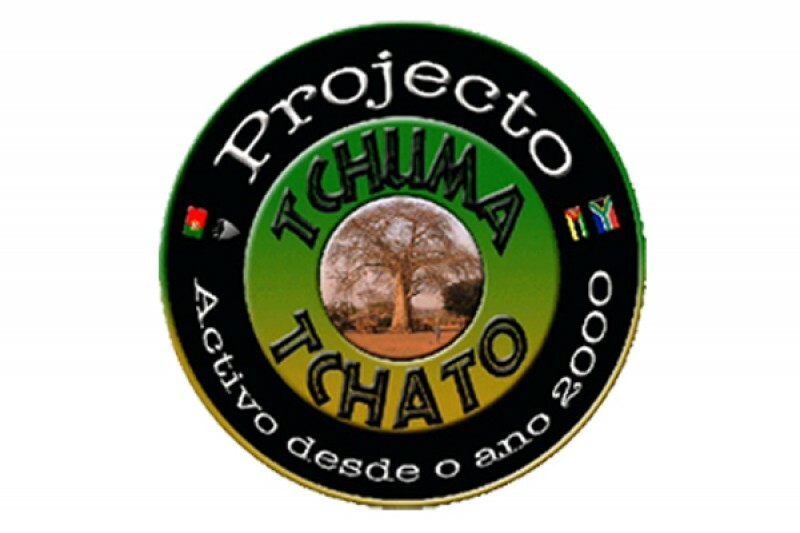 We realize, however, that the 2,000 euros we could send you would not be enough to complete the project. Before we approve a grant, the general policy is that we need to know that there is enough landing gear for funding from other sources (in addition to what we can send) to be able to see the project through to completion. This approach helps avoid the grant funds either sitting for a long time or having to be returned, etc. So, for those reasons, and because our grant funds are quite tight, we are not able to issue a grant for your project at this time. However, we will hold 2,000 euros and earmark them for your project, to be sent when you’ve been able to raise the rest of the funds necessary to complete the project. We will hold these funds for a maximum of one year, until February 2020." So, please reach your heart and pockets right now and donate!! God bless!!! We have been silent because we have been busy. Now that the Community Center is built and operational we are in the process of submitting an application to the Barberton Municipality for a permit to also function as a pre-school. We have the children, we have the space, we still need to fence the property. It's one of the requirements in order to get the permission. Please help us get this step out of the way. It would be such a marvelous Christmas gift to this dear community. God bless!! First of all I want to convey that you are always in my thoughts and prayers. I hope this simple message will find you well and happy, and that this holiday season commemorating the birth of Jesus will have been full of peace and love. I’m back in Africa and all is well thanks to God. In material terms it is, and will always be, an unknown matter since we are at the mercy of men and their economic plans that in the governmental realm leaves no doubts as to preferences in the distribution of subsidies and grants, even if only to attest the credibility of those who work on behalf of the needy. But anyway, as Jesus also said, the poor, some of material resources others in spirit and ideologies, we will always have them with us. One has to keep a positive attitude and stay the course. The partnership with the Church/Community Centre, the place we helped build keeps going, slowly but surely. While away we heard and now here, we have participated in events for the community which bring us much joy, to see that the efforts, small as they were compared with the desire to do more, are being compensated with fruits we believe will remain. It’s still in our plans to adapt the installations so we can also receive the younger ones, the future of any society. We already have the necessary permissions to start a creche and now we only need to financial support to go ahead with the work. A wall and gate are needed so that the children will be protected from the road and traffic when they are in recess, school tables and chairs, and mobile partitions to separate the children’s classes since it’s a multitasking space. For a couple of years this idea has been in our minds but until now we haven’t been able to make it a reality. Forgive me the candor but every time I read the news of the millions that are granted to institutions that after one finds out were misused, and that with the knowledge and participation of the politicians in charge of disbursing them, I feel somewhat disappointed and ready to throw it all in the air. I wish just a little percentage of those millions and much would be done. But I won’t bother you with tirades on things you know already. The other day there was a wedding ceremony which I attended. A symbiotic event that combined occidental costumes with local ones. It was very interesting. The video clip can be seen here; < https://youtu.be/zEtd-mbpOrQ >. And on Christmas Day I went to “visit Jesus” at the local Hospital (Matthew 25:36). I was pleasantly surprised to see the scarcity of patients, the cleanliness and order in the place, the composure and joyfulness of the staff and doctors on duty. Jesus was there! I also want to ask for your forgiveness if sometimes I’m not as present as expected. Believe me that I feel sorry for that. The fact is that for reasons of health, and being a foreigner, I need to be away back in my home country part of the year, for doctor’s appointments, medical tests, what have you when the years start weighing in. The energy starts to diminish and the days get shorter than they used to be. God willing now that I’m here I’ll be more available and participative! My great wish to you dear friends is that 2018 will bring you and your loved ones much love, peace and prosperity. God bless! Sending prayers for supply of all that's needed to build the fence. GBY! Praying for you and your work there. We have donated because we want to support JR's mission project in Africa. God bless him.